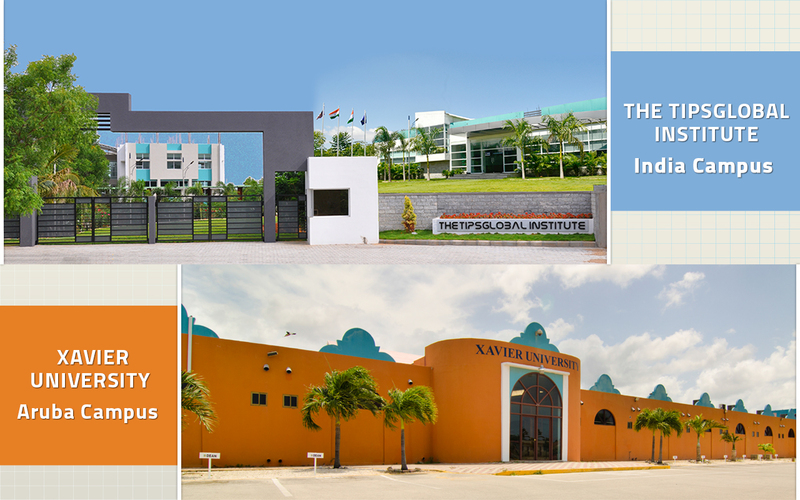 The TIPSGLOBAL Institute has partnered with Xavier University School of Medicine, Aruba to offer a globally recognized Doctor Of Medicine (M.D.) program in medicine. Designed for students passing out of 12th grade or equivalent, this program is a collaborative effort meant to improve and enhance medical education worldwide. Backed by a global perspective, and a multi-cultural exposure in three different countries – India, Aruba and USA, students can explore and develop sound acumen to be competitive in today’s global scenario. Towards this end the partnership will strive to provide a conducive and rewarding environment for students to ignite and sustain a passion for excellence in the medical field. The goal of the program is to lead students to licensure in USA, by imparting world-class education, exposure and experience that enables them to have a fulfilling career in Medicine. Located in Aruba, Xavier University School of Medicine (XUSOM) is an international medical school that enjoys all the benefits of being an accredited Caribbean medical school, as well as some of the most sophisticated tools to assist in the learning process. XUSOM has processes and systems inplace that impart a high quality of medical education that enable students not only to score high in the United States Medical Licensing Exam (USMLE), butalso succeed in their professions.